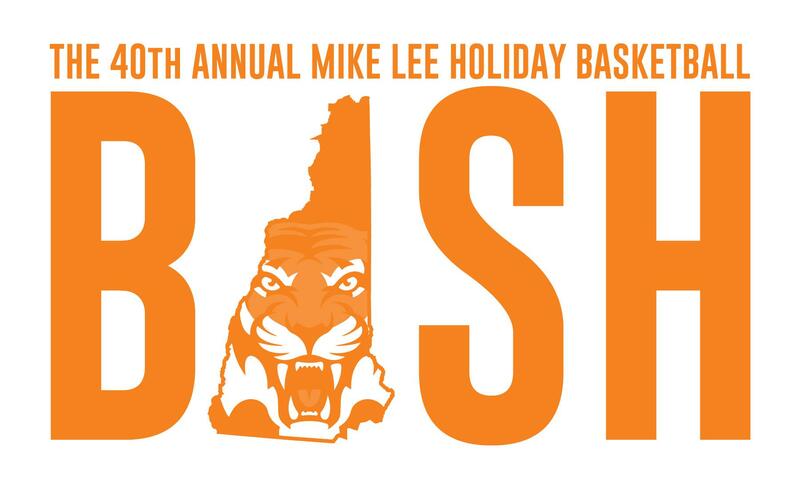 Welcome to Tournament Central for the 40th Annual Mike Lee Holiday Basketball Bash presented by Dana's Collision & Auto Repair. 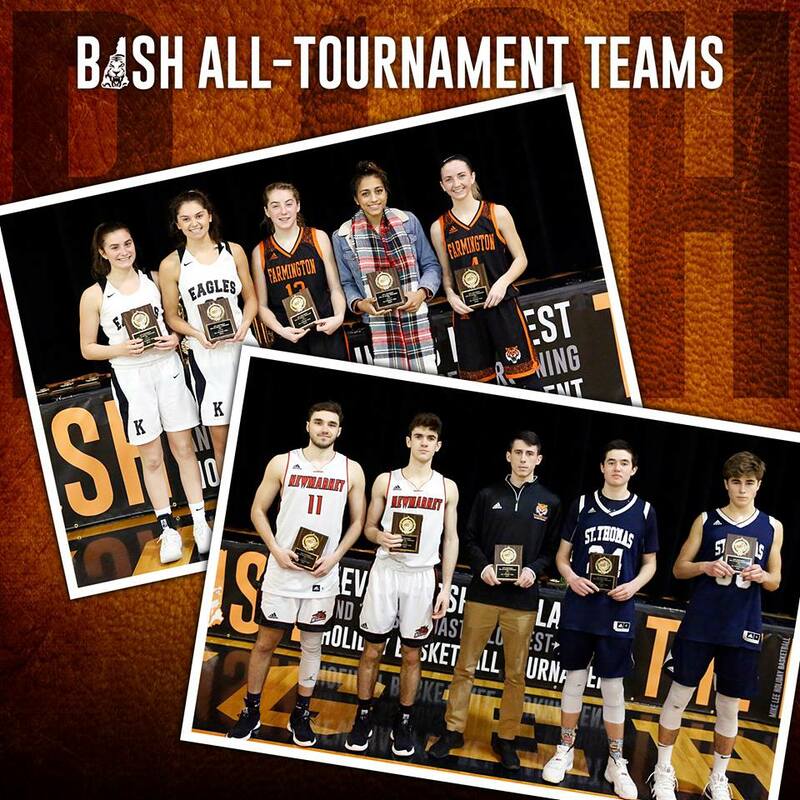 The Bash, New Hampshire's largest and the Seacoast’s longest-running holiday tournament, was held on Dec. 26-31 at Farmington High School and featured 34 games. 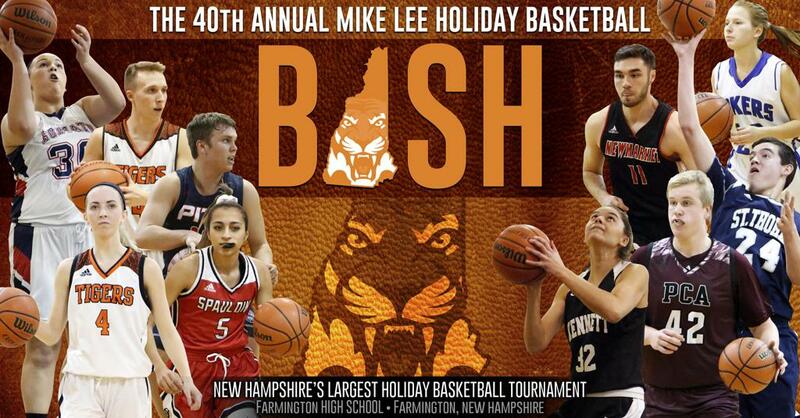 Storylines, results, brackets, videos and links to photo galleries are posted below. 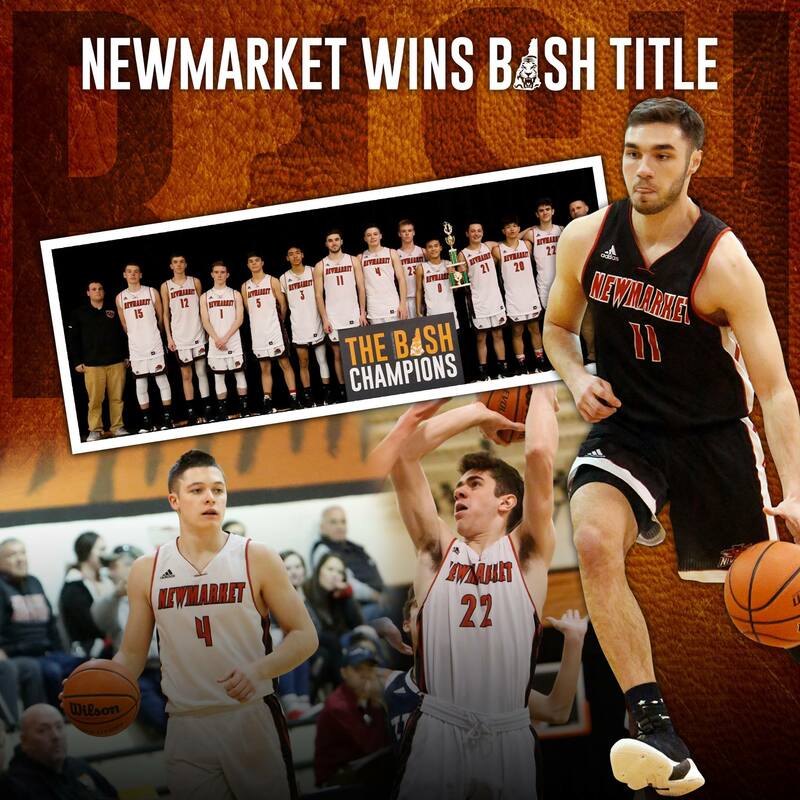 Leading by two at the half, the Newmarket boys used a 20-6 third quarter to propel the Mules to a 50-34 victory over St. Thomas and capture the 40th Annual Mike Lee Holiday Basketball Bash presented by Dana’s Collision on Monday afternoon. 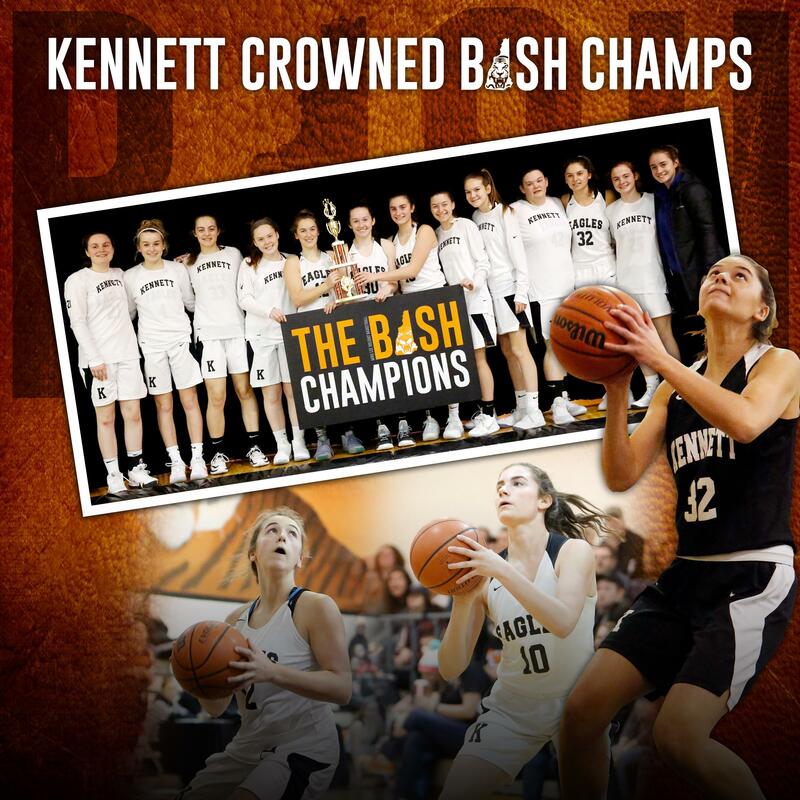 The Kennett Eagles flexed their Division II muscle to soar to a 62-31 victory over host Farmington to win the 40th Annual Mike Lee Holiday Basketball Bash presented by Dana’s Collision on Monday afternoon. 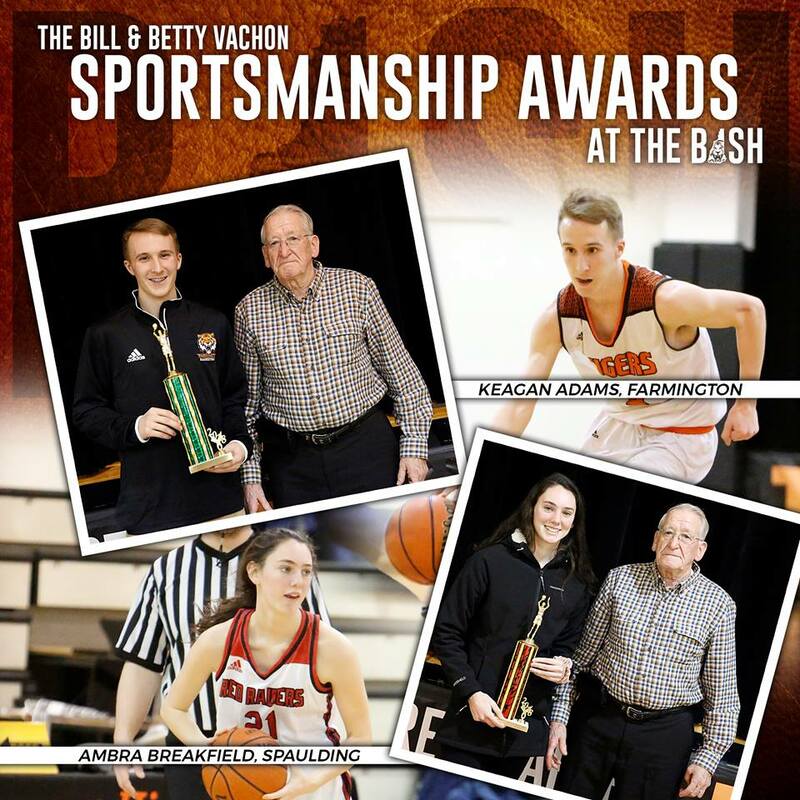 Farmington’s Keagan Adams and Spaulding’s Ambra Breakfield were awarded the Bill & Betty Vachon Sportsmanship Awards at The Bash. GIRLS: Eliza Brault, Alyvia Drapeau, Jordan Levesque, Katie Martineau, Maddie Predaris, Maddie Stewart, Chloe Weeks, Isabel Wrobleski. BOYS: Andrew Cavanaugh, Simon Cote, Logan Ebare, Ben Lafrance, Bryson Lund, Jimmy Sullivan, Eli Swanson, Owen Tower. The stage is set. 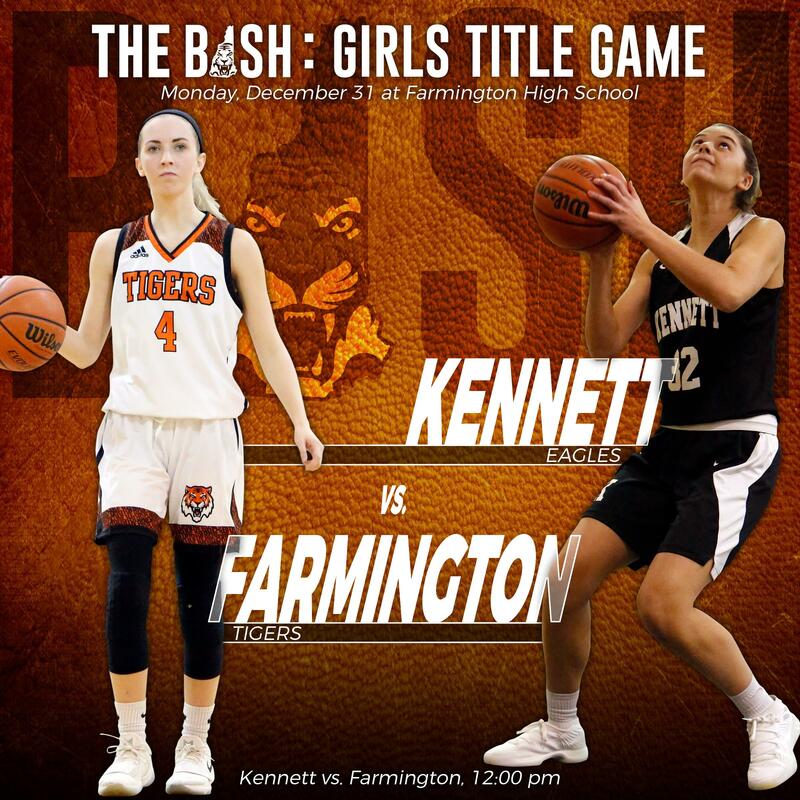 Division IV Farmington will play host to Division II Kennett in the girls final of the 40th Annual Mike Lee Holiday Basketball Bash presented by Dana's Collision Repair & Auto Sales on Monday at 12 noon. 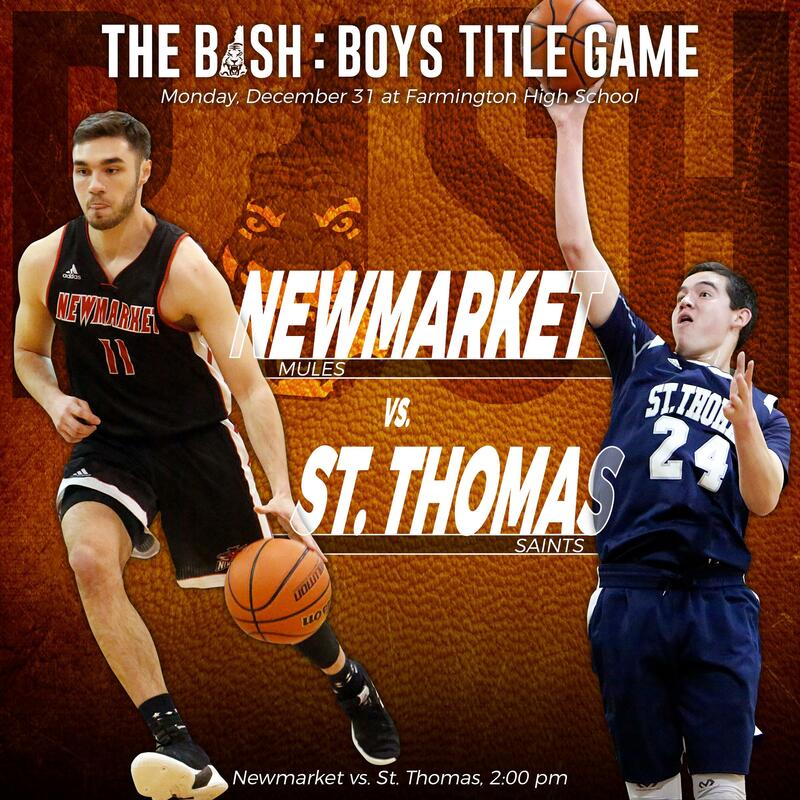 It’ll be an old Southeastern League showdown for the boys title as Newmarket and St. Thomas will clash in the final of the 40th Annual Mike Lee Holiday Basketball Bash presented by Dana's Collision Repair & Auto Sales on Monday at 2:00 p.m. 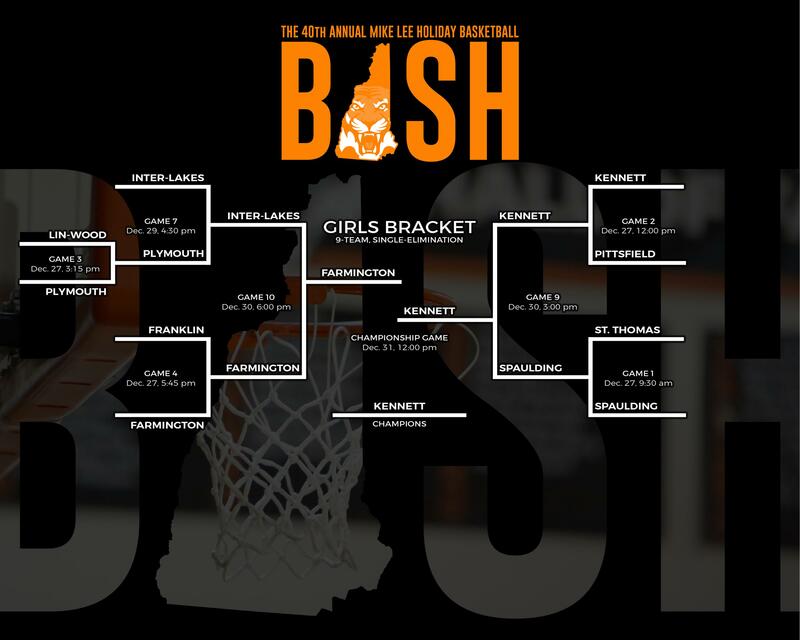 The semifinals on the girl’s side of The Bash have been set. 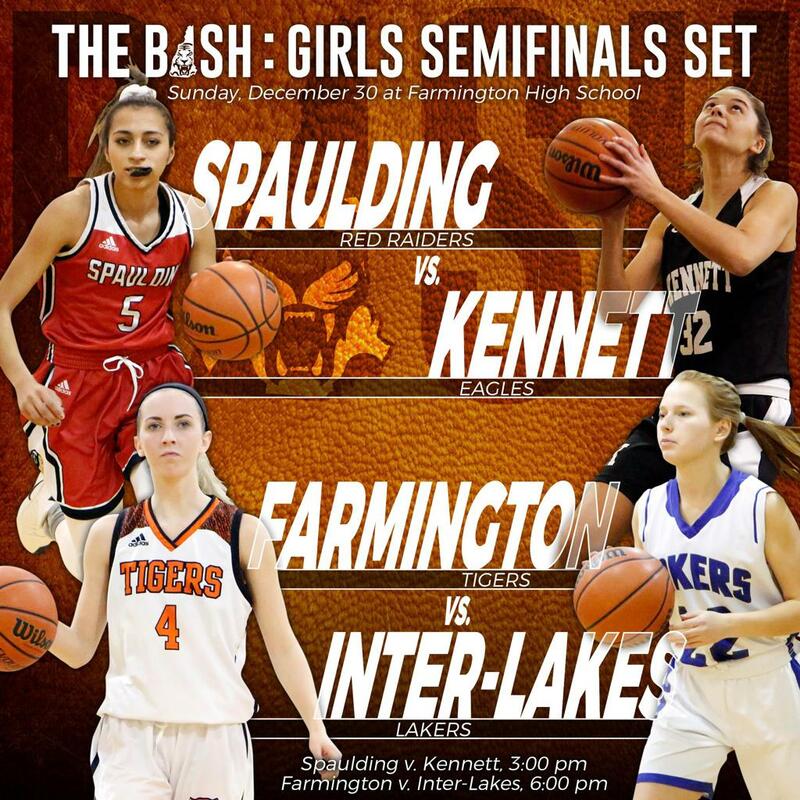 Kennett and Spaulding will square off in the first semi on Sunday at 3:00 p.m., followed by host Farmington taking on defending tourney champion Inter-Lakes in the second semifinal at 6:00 p.m. 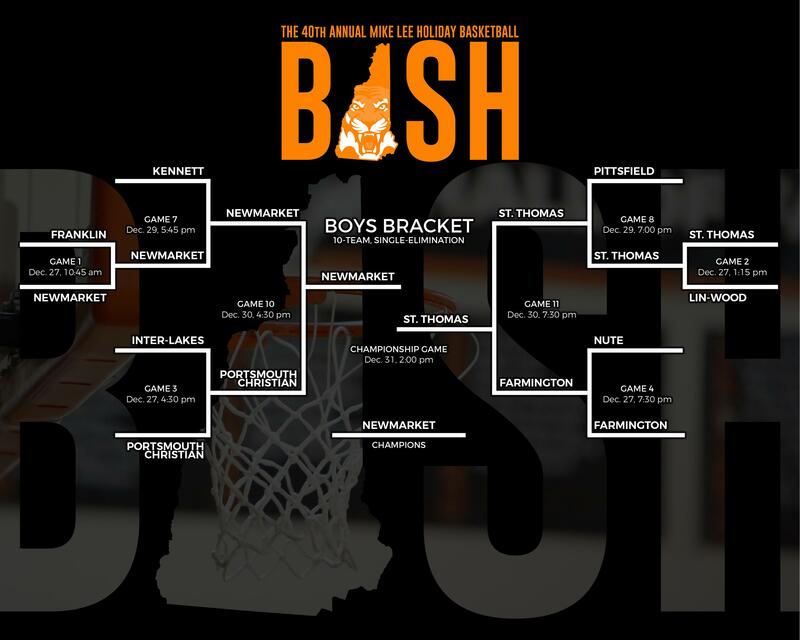 The semifinals on the boy’s side of The Bash have been set. 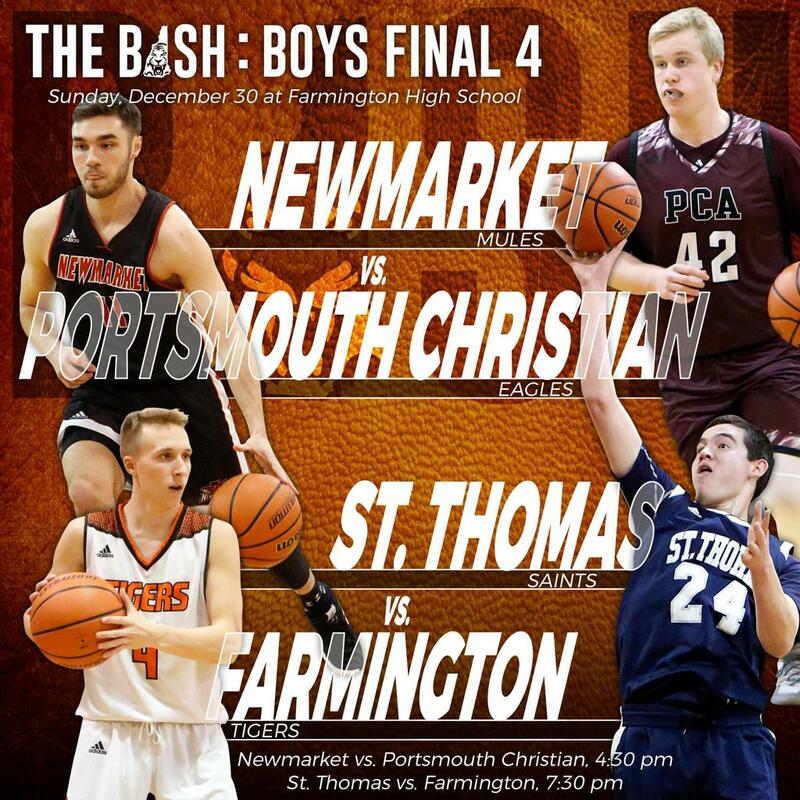 Newmarket and Portsmouth Christian will square off in the first semi on Sunday at 4:30 p.m., followed by host Farmington taking on St. Thomas in the second semifinal at 7:30 p.m.
Farmington's Rachel Roy and Keagan Adams both took home the titles in the first-ever Skills Challenge presented by New England Furniture. 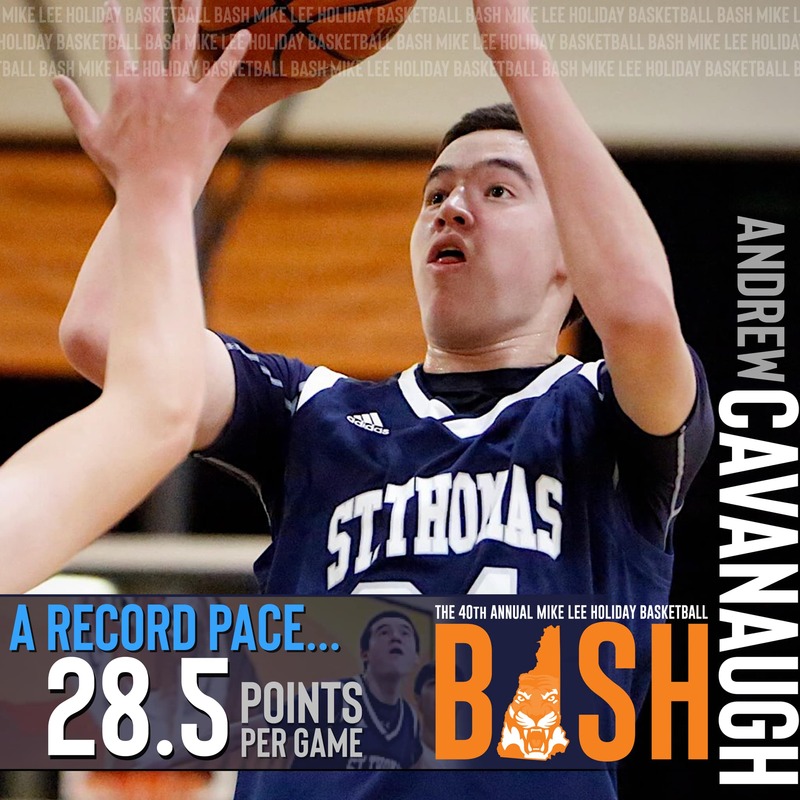 With 57 points combined through his first two games of The Bash, St. Thomas forward Andrew Cavanaugh is on pace to break the tournament’s all-time scoring record. 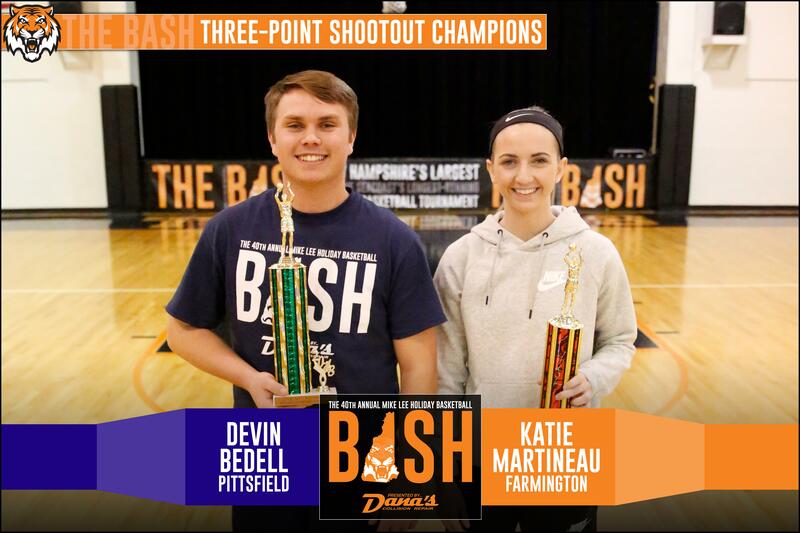 Farmington's Katie Martineau and Pittsfield's Devin Bedell took home the hardware in the Bash's annual Three-Point Shootout Championship on Thursday afternoon. Down two in the waning moments, Portsmouth Christian’s Bryson Lund completed a three-point play with 3.7 seconds on the clock to lift the Eagles to a dramatic 47-46 come-from-behind win over Inter-Lakes to advance to the semifinals. Local rock band Wellfleet dazzled with their rendition of the National Anthem prior to the Farmington - St. Thomas boys night cap. Pat Curry (STA Class of 1997) and Craig Roy (FHS Class of 1999) donned their school colors in Bash style. With the game tied at 55, Pittsfield’s Devin Bedell picked off a pass by Inter-Lakes and completed a three-point play with less than a second on the clock, giving the Panthers boys basketball team a come-from-behind victory over the Lakers. 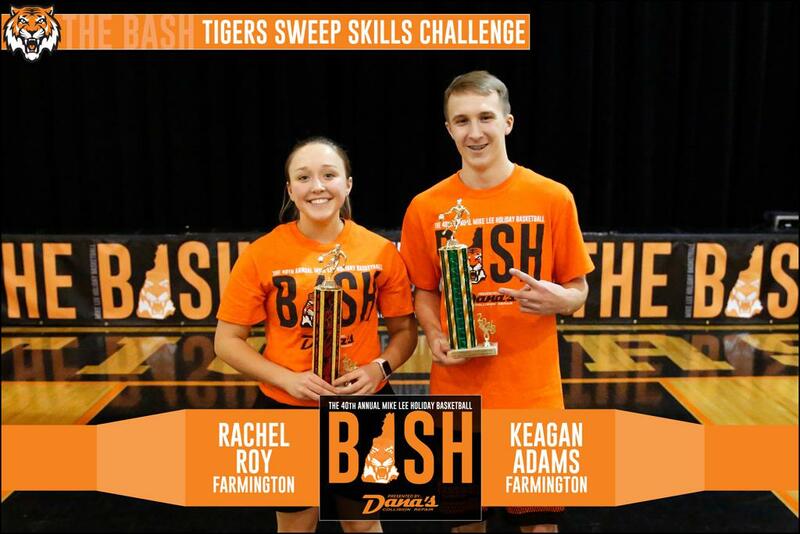 ©2019 Farmington Tigers Athletics / SportsEngine. All Rights Reserved.